Back in February, I was among the first to see the trailer for Disney's Christopher Robin. 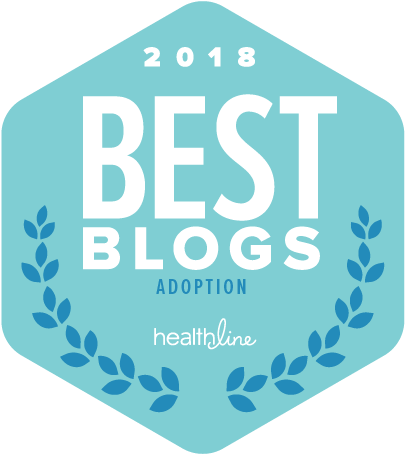 I was sitting in a room full of top bloggers at Walt Disney World and we got the opportunity to talk with executive producer Kristen Burr about this wonderful summer movie. I remember her telling us Ewan McGregor would play the role of grown-up Christopher Robin and I thought to myself “Hmm. That somehow fits.” I can't explain why the actor we know and love as Obi Wan Kenobe and Emmit/Ray Stussy was the perfect choice to play the best friend of our beloved Winnie the Pooh, but I agree with the producer's vision. She knew it would work and it has. I know Ewan McGregor has starred in countless other roles but Obi Wan and his dual role in Fargo are the ones I am most familiar with. I was incredibly excited when I got the invite from Disney and Marvel Studios to attend the World Premiere of Disney's Christopher Robin. I mean…duh. Excited is never going to adequately describe how I felt when I opened my email and saw the subject line “Disney and Marvel Studios Invites you to Los Angeles.” There was jumping up and down. There was squealing. When I learned I'd get to be in the same room with Ewan McGregor and actually talk to him? There was even more jumping up and down and squealing. Maybe a bit of name dropping. Our great group of bloggers with Ewan McGregor. 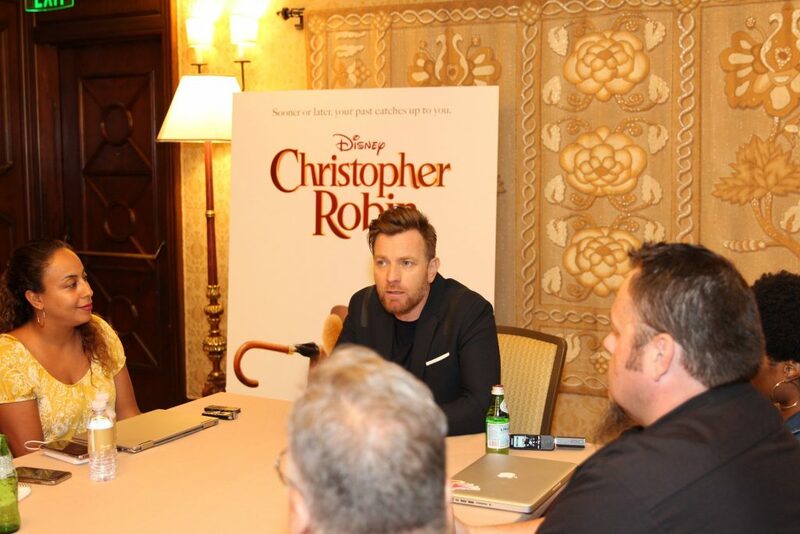 The words “I'm going to interview Ewan McGregor” might have escaped my lips a few (dozen) times. I mean…the guy who delivers our Amazon packages and the lady at Target need to know these kinds of things, right? They DO! 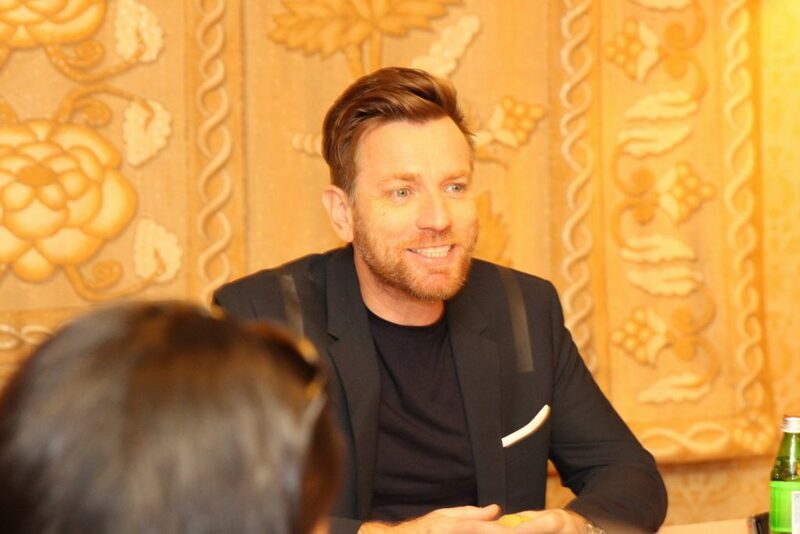 I feel like I've come full circle with this wonderful movie, from being among the first to see the trailer and hear the producer's thoughts on casting Ewan McGregor to attending the World Premiere and getting to talk with the man himself (eeek!!!!) about his role in the movie and his thoughts on playing such an iconic character. 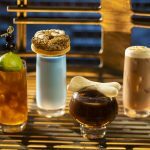 I was part of a group of bloggers that was invited by Disney Studios to take part in interviews with the cast of Christopher Robin at the beautiful Montage Hotel in Beverly Hills. Ewan was very gracious and very on trend in a slim, dark suit with white kicks. His hair and beard threw me when he first walked into the room. He is a very handsome guy and he looked very stylish, although very different from the characters I've seen him play on the big screen and on television. 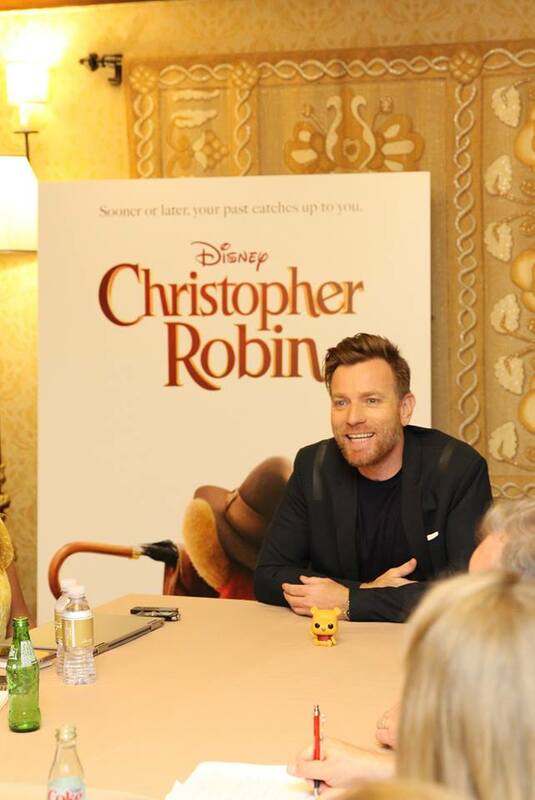 Ewan McGregor says not and that playing Christopher Robin as a forty-something year-old-man (versus a child) was something new. His words about taking on the role of Christopher Robin were overwhelmingly positive. We all have a favorite 100 Acre Wood friend, right? I think mine is Tigger because he is the character that is most unlike me and I'm drawn to exuberant people in real life since I'm not like that so much. 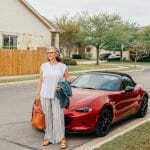 “I really like all of them,” began McGregor, and I was hoping for more detail. We all like all of them, right? And, McGregor did not disappoint. “Pooh is the one I spent the most amount of time with and he's definitely ‘my guy, my little sidekick'” McGregor told us. It made me smile to hear Pooh described as “my little sidekick” although that perfectly explains the dynamic between Pooh and Christopher Robin, doesn't it? “I had the second-longest story line with Eeyore,” McGregor continues. 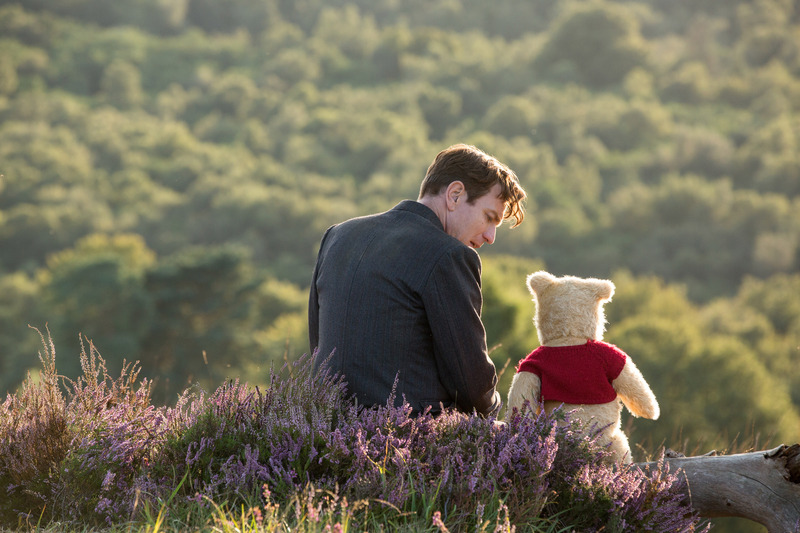 I'll have my full review of the film up tomorrow, but yes, aside from Pooh, adult Christopher Robin does have quite a bit of dialog with the beloved glum little donkey. 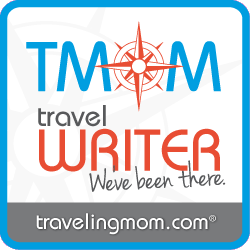 A little bit of a teaser for you, Eeyore first mistakes Christopher Robin for a Hefflalump and the exchange that follows is quite hilarious and adorable. McGregor also mentions being fond of Kanga because she is the mum and the calming voice out of all the Hundred Acre Wood friends. And, he is right. While all of the other Hundred Acre Wood friends have somewhat childlike personalities, Kanga has a sweet and gentle way about her and was the “voice of reason” when the Heffalumps were invading the Hundred Acre Wood. 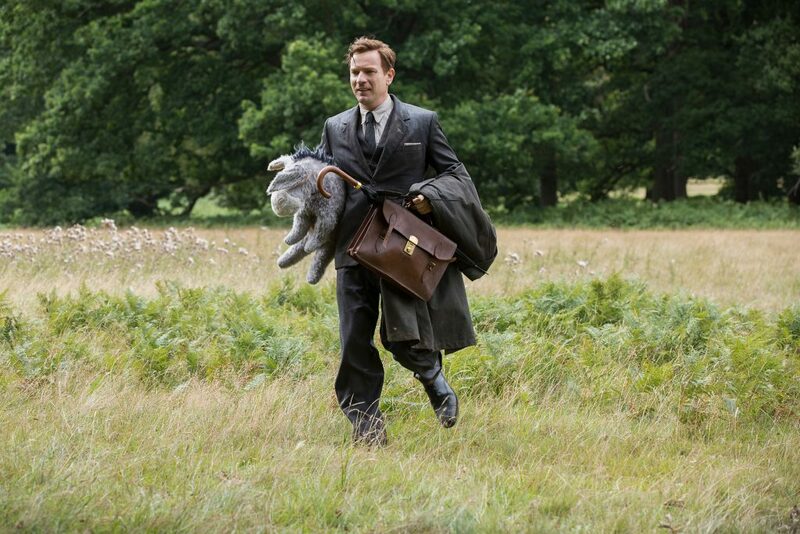 Ewan McGregor's description of how the magic happened in Christopher Robin deserves its very own post. He did a great job of breaking the process down for us and giving us great visual descriptions that make us feel like we're actually there on set. In a nutshell, young actors just out of drama school (holding stuffed animals) would engage in dialog with Ewan McGregor and the other feature actors in the film. The feature actors would get a feel for the look and the placement of the adorable “stuffies.” The stuffed animals would then be replaced by gray mock-ups that were conducive to…well, I could insert language about CGIs and overlays and digital thingamajiggitybibbitibobbidibos. Let's just say there's magic in the Disney animation process and the directors and animators put a lot of effort into making what we see on screen…well, magic. I could write a post dedicated to the technology of it all…how Disney makes these lovely stuffed animals come to life is truly awesome. Fun fact: The Winnie the Pooh stuffie went home with Ewan McGregor. During the early part of the movie, Christopher Robin is rather remote toward his daughter Madeline. There is a distance between them and a lack of demonstrative affection that is probably attributed to a combination of Christopher Robin being at war (this film is set in post World War II Britain) and not meeting his daughter until she was about six and what was considered typical parenting for that time period. 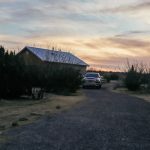 In his interview with our group, McGregor mentions a conversation he had with his mother about the difference in his relationship with his girls and his own relationship with his father. I think that's definitely true. 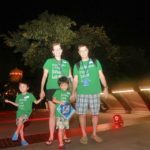 As a parent, my takeaway was the importance of being present and maybe letting the rat race survive without me once in awhile. That's what it meant to me. Favorite scenes: McGregor mentions two scenes of the movie that stand out for him. One is a scene between Christopher Robin and Pooh and one is a scene between Christopher Robin and his daughter Madeline, played by Bronte Carmichael. Both are scenes where Christopher Robin is apologizing. Both are very sweet and poignant and resulted in many used tissues on my end. I loved the whole movie but I agree…these scenes were special. Lovely indeed. And, is it just me or is there just something utterly charming about a man with a rolling Scottish accent describing something as “lovely.” Pretty sure not just me. It's funny – when I was sitting across the table from this very famous and talented man – I thought I would see him as Obi Wan, because that's the character that is most memorable for me…at least that was so before my experience with the #ChristopherRobinEvent. Now, this one kind of stands out, and for good reason. This has all been quite the experience for me and Christopher Robin is quite the amazing film. I wanted to ask him a bazillion Star Wars related questions. I wanted to ask him to sing a bit of Moulin Rouge for us (I wasn't the only one.) One of our group asked the question “If Pooh was a Jedi Knight, what kind of light saber would he have.” Fair question but we're going to have to continue to use our imagination on that one. 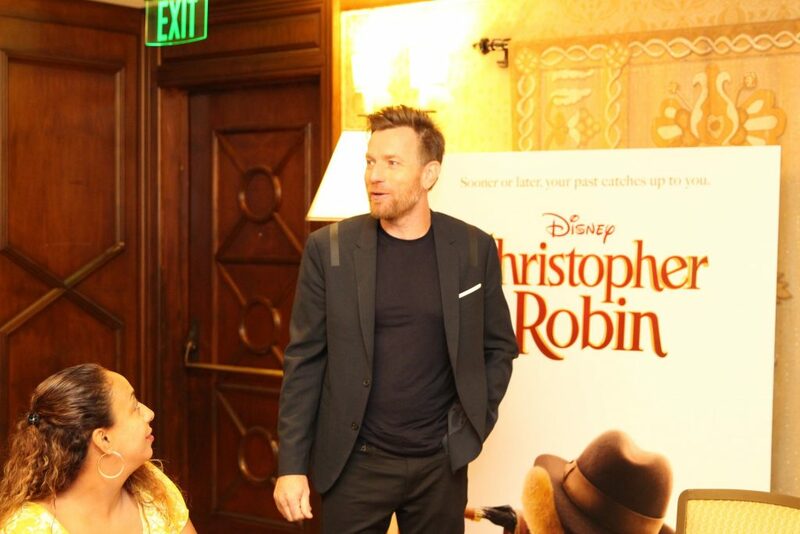 As I listened to Ewan McGregor talk about his Christopher Robin experience, I found that I didn't see Obi Wan and I didn't want to ask him to sing (well, not much) and I enjoyed being in the moment with listening to him talk about this role in this movie. And, a wonderful movie it is. Christopher Robin is in theaters everywhere August 3rd. Tickets are available now. Christopher Robin stars Ewan McGregor as Christopher Robin; Hayley Atwell as his wife Evelyn; Bronte Carmichael as his daughter Madeline; and Mark Gatiss as Keith Winslow, Robin’s boss. The film also features the voice of Jim Cummings as Winnie the Pooh and Tigger. 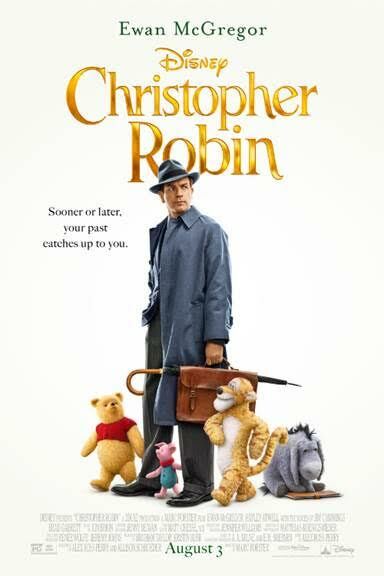 Christopher Robin is a heartwarming live action adventure, the young boy who shared countless adventures with his stuffed animal friends in the Hundred Acre Wood has grown up and lost sight of what’s important in life. Now it is up to his childhood friends to venture into our world and help Christopher Robin rediscover the joys of family life, the value of friendship and to appreciate the simple pleasure in life once again. 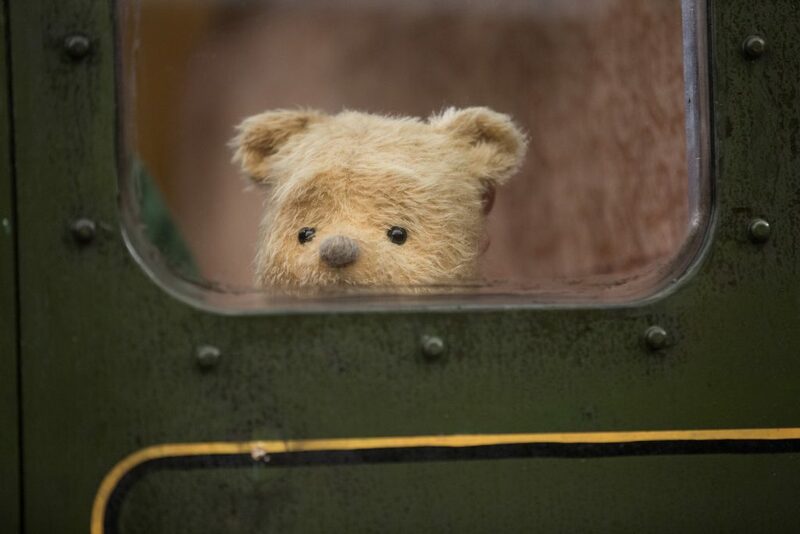 CHRISTOPHER ROBIN arrives in theatres everywhere on August 3rd! Tickets are on sale now! Stay tuned for more exclusive behind-the-scenes awesomeness that I got during my whirlwind three days in Los Angeles, to include my interviews with the cast. 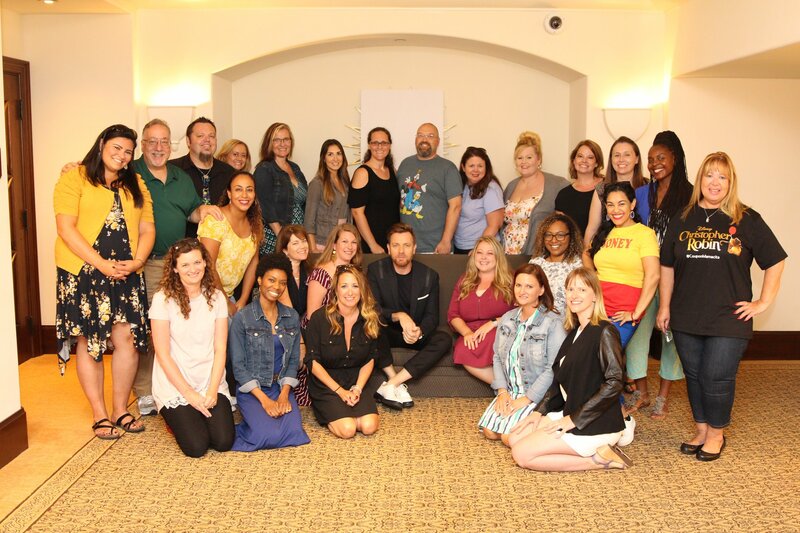 I can't wait to share more of my experiences from the premiere of Disney's Christopher Robin with you! To stay up-to-date, subscribe to the blog and follow #ChristopherRobinEvent on social media. 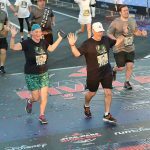 Seeing parts of the movie at Disney Social Media Moms made me think that I had to be a part of this event and I am so glad that I was. Ewan was so warm and charming. I loved talking with him in this interview.